Records show Davis supported legislation governing a toll-road project for which the North Texas Tollway Authority hired her firm. She backed changes governing the collection of unpaid tolls that preceded an NTTA program in which law firms — including Davis’ — were chosen to carry out the collections. And as a state senator, she sought federal money for a transportation project being handled by her law firm. During the 2011 legislative session, Davis was billing the tollway authority for condemnation work on one project the same day she was voting for toll-collection legislation backed by the NTTA. Turns out that Davis was actually fairly critical of the North Texas Tollway Authority, and in 2011 had introduced a bill to cap NTTA fees on delinquent tolls, which she subsequently withdrew six days after the NTTA hired her firm. Davis then threw her support behind an alternative bill that the NTTA preferred. Davis also said in August 2013 that she would "put my law practice on hold" if she decided to run for governor, and that she "wouldn’t be gaining any financial benefit from that relationship." But records show that Davis made more than $150,000 from her firm, Newby Davis, in 2013. Davis dismissed the revelations, telling the Morning News, "I have never done anything in a way that represents a conflict in my voting and something that would benefit me personally." Wendy Davis isn’t the first Texas politician suspected of confusing public duties with private income. Elected and appointed officials from both parties have dipped their beaks, and, sadly, Davis won’t be the last as long as Texas legislators write their own laws. No one disputes that members of our "citizen Legislature" must earn income far in excess of their modest state pay. Davis’ problem is repeatedly saying one thing and doing another. Instead of fighting the good ol’ boy system, she has embedded herself in it. 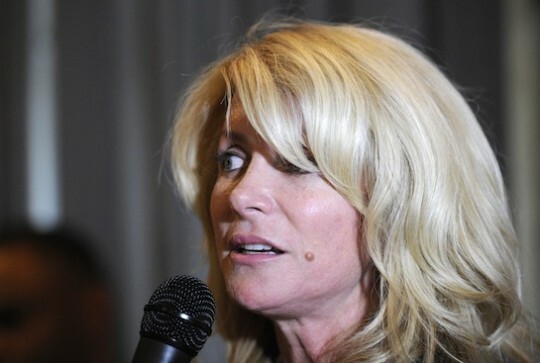 This entry was posted in Politics and tagged 2014 Election, Texas, Wendy Davis. Bookmark the permalink.